Because of Ebola, there was a lot more teenage pregnancy. Elizabeth Katta tells the story of what happened next – starting with her 12-year-old sister. Elizabeth Katta has collected children all through her life. The latest baby – seven months old – is her nephew. He was born in the Ebola crisis to her sister. Ramatu also helps with the baby. She is 16 and she came to live with Elizabeth 11 years ago. She’s training to be a motor mechanic at DRIM. Munda cries and then goes to sleep on Ramatu. There is a lot of noise from workshops and sewing machines. Elizabeth has a different hairstyle every day. She’s a single parent and an activist for women’s and disability rights. She’s a friend to girls everywhere. A child is the responsibility of everyone. Everyone helps! My sister’s baby is healthy and he eats well – we’re lucky. The baby looks like his father, but he belongs to us, so we called him Munda, which means ‘our own’ in Mende. My sister had to go back to our village because there was more Ebola here in the city of Bo. There was no money or business, so she had to help out selling cake and cassava bread. She met a boy. He was much older than her. I thought he was arrogant. He used to buy all the food she sold for his friends. He gave her the impression he could take care of her. My sister loves Munda because he is her first baby. But she doesn’t want to remember her pregnancy; it makes her cry if we speak of it. She’s ashamed because the father said the baby was not his. She now lives with an older sister so she can go to school near Makeni, more than 100 kilometres from here. She telephones to ask about the baby every day. Many girls got pregnant during Ebola. We call it ‘pikin bon pikin’ (children having children). They were not going to school, and often had to support their families. I run a self-help group for 30 girls who have had obstetric fistula [a disability caused by very long labour in young girls that leads to incontinence], supported by Forward UK. Four of my girls got pregnant during the crisis. Satta is one of them. 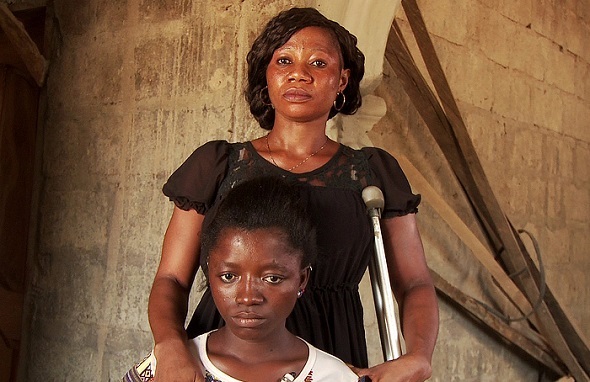 At the time of Ebola she was 14, the eldest of five children. Her mother was a trader, so when the markets had to close, the family was hungry and she went to live with her aunt in Bo. The aunt sent her to sell roasted nuts by the road. Satta met a man who helped her a lot. He was 22, had a good job building houses. He gave her 100,000 Leones ($24) – more than her whole family income – and she slept with him. Later, when she got pregnant, he said he was not responsible. But the family make him take responsibility. Satta had a complicated labour that lasted three days and ended in a caesarean. The baby died and she suffered obstetric fistula. It was terrible for her. Her friends laughed at her; her boyfriend beat her every night because she wet his bed. One night, he beat her so badly that she returned home to her parents. Then he left her. 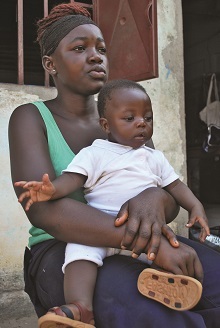 NOW READ THE ORIGINAL: https://newint.org/features/2016/06/01/ebola-rise-in-teenage-pregnancy/ (This article has been simplified so the words, text structure and quotes may have changed). This page was last edited on 5 July 2016, at 21:45.